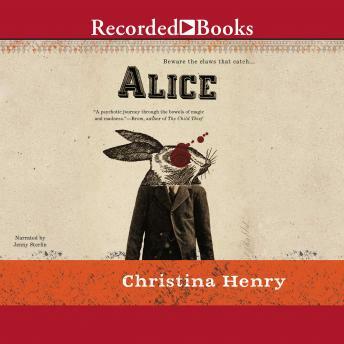 A mind-bending new novel inspired by the twisted and wondrous works of Lewis Carroll... In a warren of crumbling buildings and desperate people called the Old City, there stands a hospital with cinderblock walls which echo the screams of the poor souls inside. In the hospital, there is a woman. Her hair, once blond, hangs in tangles down her back. She doesn't remember why she's in such a terrible place. Just a tea party long ago, and long ears, and blood. Then, one night, a fire at the hospital gives the woman a chance to escape, tumbling out of the hole that imprisoned her, leaving her free to uncover the truth about what happened to her all those years ago. Only something else has escaped with her. Something dark. Something powerful. And to find the truth, she will have to track this beast to the very heart of the Old City, where the rabbit waits for his Alice.